However phrased, such a move by the Palestinian side would fundamentally violate agreements with Israel that were mediated and witnessed by the United States, would be unlikely to be effective, might provoke unilateral moves by Israel, might also provoke violent clashes, and would certainly hinder rather than advance the search for peace. How would a Palestinian Unilateral Declaration or appeal to the United Nations violate existing agreements? The Declaration was signed on the White House lawn and witnessed by the United States and the Russian Federation. The Memorandum was witnessed by Egypt, Jordan and the United States. As with the prior documents, the Trilateral Statement explicitly bars any resort to outside parties or unilateral actions to settle disputes. … unilateral actions taken by either party cannot prejudge the outcome of negotiations and will not be recognized by the international community. Thus, any Palestinian appeal for statehood to the United Nations, or a Palestinian unilateral declaration of statehood, would be a fundamental and grave violation of its signed agreements with Israel, and would call into question the worth of any future Palestinian commitments. Similarly, support for or acquiescence to such a Palestinian move by the United States, the United Nations, the Russian Federation, the European Union or its member states, or Norway, would be a clear violation of agreements that these countries and the UN have witnessed and in many cases endorsed, and would also call into question the value of their commitments. How would a Palestinian Unilateral Declaration or appeal to the United Nations violate US assurances to Israel? Finally, I would like to reiterate our position that Israel is entitled to secure and defensible borders, which should be directly negotiated and agreed with its neighbors. Obviously a unilateral move by the Palestinians would contradict this US assurance to Israel. First, the United States remains committed to my vision and to its implementation as described in the roadmap. The United States will do its utmost to prevent any attempt by anyone to impose any other plan. A unilateral Palestinian declaration of statehood, via the United Nations or otherwise, would violate the terms of the Roadmap, and President Bush’s letter commits the United States to “do its utmost to prevent” such a move from occurring, or if it occurs, from succeeding. While these letters were not official agreements or treaties, and were not ratified by the Senate, were the United States now to disavow or ignore such commitments the value of all such Presidential assurances would be called into question, thereby doing great damage to the power and credibility of future Presidents in their conduct of foreign policy. What is the Obama Administration’s position on a unilateral Palestinian declaration? The Obama administration has opposed any unilateral actions by either party and has called for restarting direct negotiations as the only way to move forward. No outside country has invested more effort and energy and resources in pursuit of that peace than the United States has, and we will continue to do so. But the only way that that goal can be reached, the common goal of a two-state solution, is, as a practical matter, through direct negotiations between the parties. There’s no short cut to that end. And every potential action, including action in the Security Council, has to be measured against one test, and that’s whether it will move the parties closer to negotiations and agreement or take them further apart. We have made it clear today, again, that we believe that direct negotiations between the parties is the venue to resolve this conflict, not a UN Security Council resolution. The United States thus seems to be clearly opposed to a unilateral Palestinian declaration of statehood, or an attempt to gain recognition of statehood through the United Nations rather than through direct negotiations between the parties. Could the Palestinians gain statehood via the United Nations when the UN meets again in September? No – the UN doesn’t grant statehood, it grants membership to states, and a political entity doesn’t have to be a member of the UN to be a state (see below for more details). Communist China, for example, was a state before it was admitted to the UN in the place of Taiwan. As indicated above, the United States seems likely to veto such a move in the Council because it would be a violation of clearly stated US policies as well as unequivocal assurances to Israel, and also would violate previous agreements between Israel and the Palestinians which call for all issues to be settled through direct negotiations, and which bar unilateral actions changing the status of the territories. The US has a stake in these agreements since it helped to mediate them and also acted as a witness and signatory. Could the Palestinians use a “Uniting for Peace” resolution to bypass the Security Council and achieve statehood via the General Assembly? No again, since as above the UN doesn’t grant statehood, it grants membership. Absent Security Council approval for Palestinian membership in the UN, there has been talk of the General Assembly passing a “Uniting for Peace” resolution to bypass the Council, but under the Charter this would have no more impact than an ordinary GA vote endorsing Palestinian membership or statehood. Such emergency special session shall be called if requested by the Security Council on the vote of any seven members, or by a majority of the Members of the United Nations. Despite the intent to bypass the Security Council, and the inclusion of “armed force” as one of the options open to members, the key phrase in the resolution, highlighted above, is that the General Assembly can still only make “appropriate recommendations,” with which member countries are under no obligation to comply. It must be noted, however, that in order to achieve its political goals the United Nations is not above violating – or creatively reinterpreting – its own charter. For example, honoring the Article 12 prohibition would have prevented the General Assembly from calling on the International Court of Justice to render an opinion regarding Israel’s construction of a security barrier intended to prevent terrorists from launching attacks in Israel. 27. … Indeed, the Court notes that there has been an increasing tendency over time for the General Assembly and the Security Council to deal in parallel with the same matter concerning the maintenance of international peace and security (see, for example, the matters involving Cyprus, South Africa, Angola, Southern Rhodesia and more recently Bosnia and Herzegovina and Somalia). It is often the case that, while the Security Council has tended to focus on the aspects of such matters related to international peace and security, the General Assembly has taken a broader view, considering also their humanitarian, social and economic aspects. While the General Assembly has thus eroded some of the limitations on its power in the Charter, there is still no room, either in the Charter or in practice, for the General Assembly to do more than issue non-binding recommendations, except in the case of membership in the UN, where the General Assembly can act to admit a state, but only after the Security Council has approved. There is no legal way – under Uniting for Peace or any other stratagem – for the General Assembly on its own to admit a state to the United Nations, and it seems unlikely that the permanent members of the Security Council would really like to see this changed. Russia and China, for example, both have restive republics and areas that might one day seek sovereignty, and both must be mindful that enlarging the powers of the General Assembly in this regard might well come back to haunt them. There have already been Uniting for Peace resolutions resulting in Emergency Special Sessions regarding the Israeli-Arab conflict, most recently in 1997 regarding Israel’s plans to build housing in Har Homa. That special session, in fact, has yet to end, having been repeatedly adjourned and resumed, most recently in 2006. Over time it has strayed far from its original pretense, having morphed into an all-purpose bash-Israel session parallel to the General Assembly, but with similar limited impact. The State of Palestine is an Arab state, an integral and indivisible part of the Arab nation, at one with that nation in heritage and civilization, with it also in its aspiration for liberation, progress, democracy and unity. The resolution passed by a vote of 104 to 2, with 36 abstentions. Were the General Assembly to vote to support or acknowledge yet another Palestinian declaration of statehood, there is little doubt that there would be a similarly lopsided majority in favor. Would a Palestinian declaration of statehood be valid under international law? As noted above, the United Nations does not grant statehood – in fact, no organization or body does. And while the Palestinians can always declare statehood yet again, that doesn’t make them a state. More recently, in deciding issues relating to the breakup of Yugoslavia, The Arbitration Commission of the Conference on Yugoslavia (colloquially known as the Badinter Arbitration Committee, 1991) adopted similar requirements. Under these criteria the territory under the control of the Palestinians does not constitute a state. This is first because under the Oslo Accords and subsequent agreements the PA has limited and even temporary authority, and limited autonomy. In no sense does the PA have complete governmental control over a permanent population, nor does it have control over a defined territory – both because its control is limited, and because the extent of its sovereign territory has to be determined via negotiations with Israel. Nor, under the agreements or in practice, does the PA have the capacity to enter into genuine relations with other states. the establishment of the State of Palestine on our Palestinian territory with its capital Jerusalem (Al-Quds Ash-Sharif). What exactly is “our Palestinian territory” and exactly what portion of Jerusalem are they claiming? In any event, no Palestinian entity has control over this entire territory or Jerusalem, thus again failing to meet the requirements of statehood. The bottom line is that only through good faith negotiations with Israel can the Palestinians address these issues and achieve statehood. What are the “Terms of Reference” proposed by some members of the Quartet? In the face of the stalled peace process – caused by Palestinian refusal to negotiate with Israel – the UK, France and Germany have been proposing “international terms of reference” as an inducement to Abbas to reengage. These terms assume the 1967 lines as a starting point, in violation of Resolution 242, and support Jerusalem as the capital of both states. These countries have also been pressing the other members of the Quartet to sign on to their effort. In short, the Peace Process must not become a casualty of uncertainty in the region. We are calling for Israelis and Palestinians to recommit themselves urgently to negotiations on the basis of clear principles supported by the international community. The UK, France and Germany have set out our views on what those principles should be two states for two peoples based on: 1967 borders with equivalent land swaps, security arrangements that protect Israel whilst respecting Palestinian sovereignty by ending the Occupation; a fair realistic and agreed solution for refugees and Jerusalem as the capital of both states. We are calling on the United States and the Quartet to set out clear principles on this basis as soon as possible and on both sides to resume negotiations to address final status issues. There has been talk about whether interim solutions will suffice. But I don’t believe they will be sufficient. Final status issues have to be resolved. We wa nt to see progress by September. There are a number of problems with Hague’s approach. First, these Quartet “referees,” who are supposed to be overseeing the peace process between Israel and the Palestinians, now apparently want to be part of the game. But should their effort to achieve peace fail, their “terms of reference” will become the baseline for the next effort to achieve peace, and therefore the baseline for further demands on Israel. It was precisely to avoid this pitfall that President Clinton very wisely never officially presented his map at Camp David – he said his proposal should be the beginning of peace, not the beginning of the next peace process. And since the aim is to bring Abbas back to the negotiations, he is not simply going to accept their proposal – he will negotiate with the Europeans instead of negotiating with Israel. And the pressure will be on the Europeans to sweeten their offer at Israel’s further expense, or suffer failure. Besides the problems in principle with the “terms of reference,” there are also specific problems. For example, the terms address only Palestinian concerns, require actions only on the part of Israel and do not require anything from the Palestinians – no Palestinian acceptance of Israel as a Jewish state, no direct Palestinian statement to their own people that the conflict is over and there will be no further demands on Israel, no requirement that the Palestinians halt anti-Israel incitement, no requirement that all militias, such as Hamas and Islamic Jihad, be disarmed. This is an important development in the peace process and one we have all been waiting for, for a long time. Successive British governments have sought final and complete decommissioning by the IRA for over 10 years. Failure to deliver it had become a major impediment to moving forward the peace process. Today it is finally accomplished. And we have made an important step in the transition from conflict to peace in Northern Ireland. While the British insisted that the IRA decommission its weapons as a condition for continuing the peace process, they have no such demands regarding much more deadly weapons in the hands of Palestinian terrorist groups. This despite the fact that while the IRA never questioned the right of Britain to exist, that is exactly the position of Hamas, Islamic Jihad, etc. regarding Israel. In addition, the proposed “security arrangements that protect Israel whilst respecting Palestinian sovereignty” can only be a source of deep concern to Israel, in the wake, for example, of the failed “security arrangements” and other provisions of UNSC Resolution 1701. That resolution, passed in 2006 in the wake of the fighting in Lebanon provoked by Hezbollah attacks in Israel, was supposed to lead to the disarming of Hezbollah and the deployment of the Lebanese Army – with the assistance of the UN forces in UNIFIL – throughout the country, in particular near the border with Israel, displacing Hezbollah’s forces in the process. Despite the solemn promises of the “international community” nothing of the sort has happened, and according to credible reports Hezbollah’s armed forces are more powerful and more well-armed than ever before. UNIFIL troops that are supposed to restrain and disarm Hezbollah are ineffectual. The “security arrangements” that the Europeans are promising to Israel therefore must be a source of anxiety rather than reassurance. While they propose “terms of reference,” what are the positions of these leaders with regard to a Palestinian UDI? German Chancellor Angela Merkel warned against unilateral recognition of a Palestinian state during talks with Palestinian President Mahmoud Abbas in Berlin on Thursday. “We do not think that unilateral steps are helpful,” the chancellor said, while encouraging an “urgent” return to peace negotiations between Israel and the Palestinians. … the way to achieve this is through negotiations. This is a conflict that can only be solved through a negotiated settlement. Still, just as with the previous declaration and UN vote, a Palestinian unilateral declaration now accompanied by a UN General Assembly vote in favor is unlikely to end the conflict. On the contrary, a more likely scenario is that with Hamas control in Gaza and partial Palestinian control in the West Bank, a UDI would provoke more rather than less violence and conflict, and might even ignite large scale fighting. 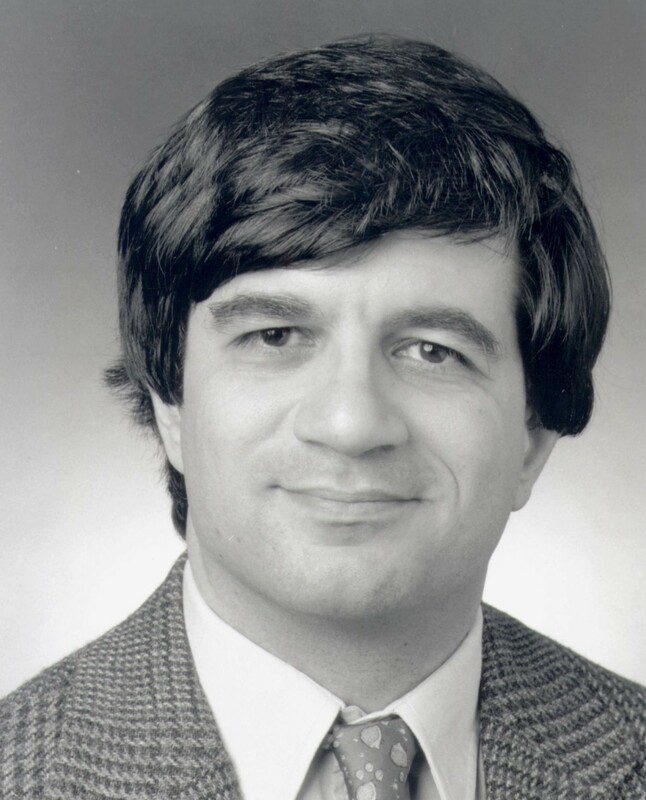 Would Palestinian unilateralism be justified? Who has refused to negotiate – Israel or the Palestinians? Contrary to the charge that Israel has refused to seriously and forthrightly negotiate with the Palestinians, it is the Palestinian leader Mahmoud Abbas who has refused to seriously negotiate with Israel since his failure to accept Ehud Olmert’s far-reaching proposals in September 2008. 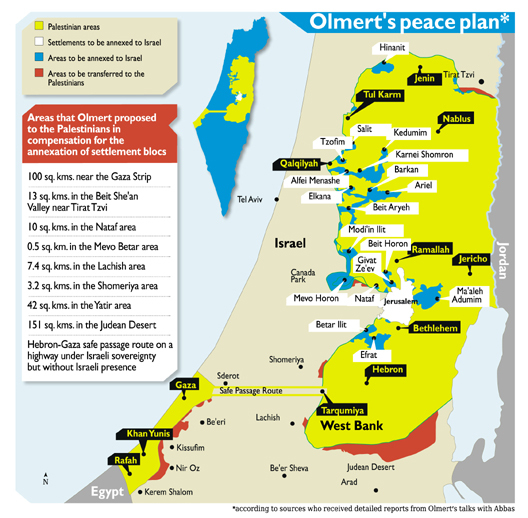 Olmert’s plan would have annexed the major Israeli settlements to Israel and in return given Israeli territory to the Palestinians, and would have divided Jerusalem. More recently, Abbas dismissed Prime Minister Netanyahu’s 10-month settlement freeze as meaningless, until the ninth month, when he portrayed a continued settlement freeze as crucial and demanded it as a precondition for resuming negotiations. If the Palestinian leadership is not really considering serious peace proposals, then what are they planning? The Palestinian strategy is actually quite clear. Negotiating and agreeing to a peace accord entails at least some Palestinian concessions on paper, such as saying that they accept Israel’s right to exist, or, better, saying that they accept Israel’s right to exist as a Jewish state. Or – at a minimum – saying that with a peace agreement the conflict is over, and there will be no further Palestinian demands on Israel. Arafat would not do this – witness Camp David and Taba – and apparently Abbas will not do this either. It appears, in plain terms, that the Palestinians simply will not take yes for an answer. Instead their plan was to delegitimize and demonize Israel, and make it an international pariah for the very fact of being a Jewish state. When this process of demonization reached a critical mass, they would try to get the UN and the Europeans to impose unilateral conditions on Israel, with either US acquiescence or participation. After such unilateral conditions are passed or agreed upon, the price of Israeli refusal would be international BDS – Boycott, Divestment and Sanctions, as in the Apartheid South African model. Apparently the Palestinian leadership feels that that critical mass has now been achieved and the time is right to get a state, recognized by – at a minimum – the Europeans and the United Nations, without making any compromises, and without ending the conflict. And then, as the state of Palestine, they can continue to press for Israeli concessions, including on the so-called right-of-return, and they can continue to demonize Israel as supposedly oppressing the new state regarding refugees, or water, or any number of other pretexts for keeping the conflict alive. When, in response to continuing terror attacks launched from the state of Palestine, Israeli forces cross the “border” to deal with the perpetrators and to prevent future attacks, that will be portrayed as an invasion of a sovereign country and an act of war. And Israel will likely be blamed for provoking the Palestinian attacks by not agreeing to the Palestinian demands for more Israeli territory, more Israeli water, etc.